Our hens produce over 10,000 eggs each day, and most of them go to Waitrose. The eggs are produced by chickens kept to the highest welfare standards in the industry. We have regular audits from Freedom Food (a branch of the RSPCA) and the BEIC (British Egg Industry Council). The hens have an insulated mobile hen house to live in and access to a large grass area. Our hens are Free Range, not organic or cage. Free Range means the hens have a normal life with feed and water in constant supply, and full access to grass fields to range, roam, scratch, dust bath and behave like every chicken should. The big benefit you’ll see is the taste of the eggs and the deep colour of the yolk – that comes from happy hens, eating worms and grubs from the fields. We also make our own feed for the hens; they eat 10 tonnes a week! 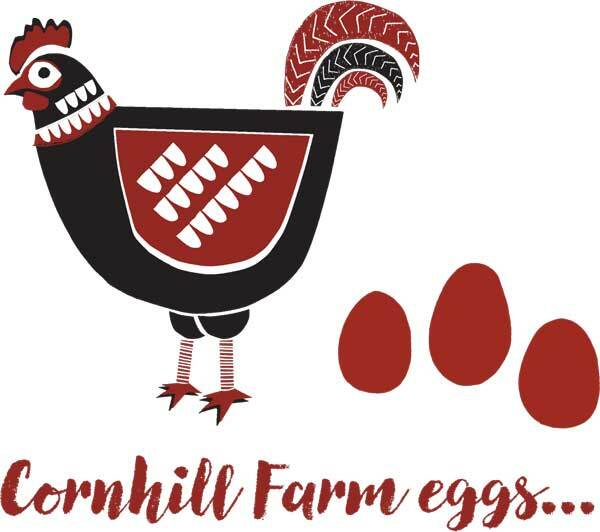 We firmly believe growing crops on our balanced and healthy soils, makes the best quality corn which we feed straight back to the hens, giving you the tastiest eggs around.